A guitar player, producer, and composer, Usui plays in diverse genres. 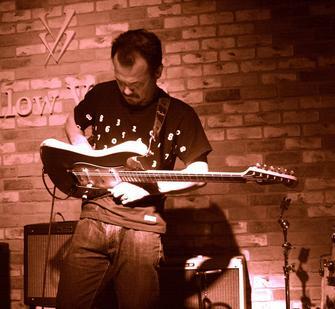 In the 1990s, he launched a unique improvisation style that implements the fewest possible guitar effectors. He has worked with guitarist and composer Elliott Sharp, and played with Sharp as a duo in 2004 and 2005. Recently, Usui has taken part in internationally acclaimed Japanese free jazz groups like Shibusa Shirazu Orchestra and Satoko Fujii Orchestra. He has been playing with many domestic/overseas musicians, including Ned Rothenberg (sax), William Parker (bass), Fill Minton (voice), Peter Brotzmann (sax) and has been touring worldwide. Usui has his own label under which he records and produces his own as well as other artists’ music.